Your use of this website, or reading our E-book Penny Stocks Behind The Scenes: A Glance Into The World Of Penny Stocks, is your acknowledgement that you have read this Disclaimer.I am not a stock broker or a registered financial advisor andthis website is not providing you with any investment advice. You assume the entire risk, cost and consequences of any investing, stock trading actions, or decisions that you make. The content in our ebook and on this web site, is derived from sources considered to be reliable, but it is not guaranteed as to its completeness or accuracy. I assume no responsibility for the financial losses or direct, indirect, incidental, special or consequential damages resulting from reliance upon the content in this course and on this web site or blog. You release us from liability due to the use of the content in the the course Penny Stocks Behind The Scenes: A Glance Into The World Of Penny Stocks, and on this web site and blog. I may trade some of the same stocks mentioned on this website. The performance results, performance data and performance information in in this guide is hypothetical. Past performance can not, and does not guarantee future results. The site may contain links to other Internet websites or resources. We neither control nor endorse such other websites, nor have we reviewed or approved any content that appears on such other websites. You acknowledge and agree that we shall not be held responsible for the legality, accuracy, or inappropriate nature of any content, advertising, products, services, or information located on or through any other websites, nor for any loss or damages caused or alleged to have been caused by the use of or reliance on any such content. The content on this website, blog and in my course and free ebook is for entertainment and informational purposes only. Information presented on the beatstockpromoters.com contains "forward looking statements" within the meaning of Section 27A of the Securities Exchange Act of 1933 and Section 21B of the Securities Exchange Act of 1934. Any statements that express or involve discussions with respect to predictions, expectations, beliefs, plans, projections, objectives, goals, assumptions or future events or performance are not statements of historical fact may be "forward looking statements". Forward looking statements arebased on expectations, estimates, and projections at the time the statements are made that involve a number of risks an uncertainties which could cause actual result or events to differ materially from those presently anticipated. Forward looking statements in this action may be identified through use of words such as "projects", "foresee", "expects", "will", "anticipates", "estimates", "believes", "understands", or that by statements indicating certainactions "may", "could", or "might" occur. Understand there is no guarantee past performance will be indicative of future results. Materials in this website are copyrighted, and all rights are reserved. Text, graphics, HTML code, and other intellectual property are protected by U.S. and International copyright laws, and may not be copied, reprinted, published, reengineered, translated, hosted, or otherwise distributed by any means, without explicit permission. You agree to use information purchased from this website Beatstockpromoters.com, for your own private use, or the internal purposes of your home or business, provided that is not the reselling, or brokering of information, and in no event cause or permit to be published, printed, downloaded/uploaded, transmitted, distributed, reengineered, or reproduced in any form any part of the E-book or this website Beatstockpromoters.com whether for resale, republishing, redistribution, viewing, or otherwise. Nevertheless, you may on an occasional limited basis, download or print out individual pages of information that have been individually selected, to meet a specific, identifiable need for information which is for your personal use only, or is for use in your business only internally, on a confidential basis. You may make such limited number of duplicates of any output, both in machine-readable, or hard copy form, as may be reasonable for these purposes only. 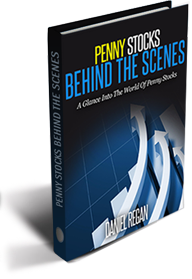 Nothing herein shall authorize you to create hard copy publication of the E-book Penny Stock's Behind The Scenes: A Glance Into The World Of Penny Stocks, whether for internal or external distribution or use. The materials on this site are provided "as is" and without warranties of any kind either expressed or implied. The owner of the website, disclaims all warranties, express or implied, including, but not limited to, implied warranties of merchantability and fitness for a particular purpose. The author does not warrant that the functions contained in the materials will be error-free, that defects will be corrected, or that the files are free of viruses or other harmful components. The author does not warrant or make any representations regarding the use or the results of the use of the materials in this site or in the ebook Penny Stocks Behind The Scenes: A Glance Into The World Of Penny Stocks terms of their correctness, accuracy, reliability, or otherwise. You (and not the author assume the entire cost of all necessary servicing, repair or correction. Applicable law may not allow the exclusion of implied warranties, so the above exclusion may not apply to you. Under no circumstances, including, but not limited to, negligence, shall Daniel Regan, the owner of the website Beatstockpromoters.com, be liable for any special or consequential damages that result from the use of, or the inability to use, the materials in this course, even if an authorized representative has been advised of the possibility of such damages. Applicable law may not allow the limitation or exclusion of liability or incidental or consequential damages, so the above limitation or exclusion may not apply to you. In no event will there be any liability paid to you for all damages, losses, and causes of action (whether in contract, tort, including but not limited to, negligence or otherwise) . Facts and information at this website are believed to be accurate at the time they were placed on the website and on our blog. Changes may be made at any time without prior notice. All data provided on this website is to be used for information purposes only. The information contained on this website and pages within, is not intended to provide specific legal, financial or tax advice, or any other advice, whatsoever, for any individual or company and should not be relied upon in that regard. The services described on this website are only offered in jurisdictions where they may be legally offered. Information provided in our website is not all-inclusive, and is limited to information that is made available to the owner of Beatstockpromoters.com and such information should not be relied upon as all-inclusive or accurate. By download our ebook you are agreeing you have read this disclaimer and agree to everything listed above. Learn A Proven System To Begin Profiting In Stocks! Enter Your Info Below & Receive Your Complementary E-book!